Gustavus senior gymnasts Lauren Kershner (Marine, Ill.) and Alex Kopp (Wayzata, Minn.) Friday both earned All-America status in the all-around at the National Collegiate Gymnastics Association (NCGA) Championship, hosted by the University of Wisconsin-Stout. Kopp took sixth place with a score of 37.325, while Kershner took 10th with a 36.750. The No. 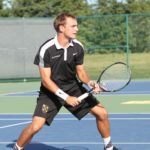 31-ranked Gustavus men's tennis team closed out its spring trip Friday with a 5-4 win over the No. 17-ranked University of Texas at Tyler, improving its overall record to 19-7 on the season. 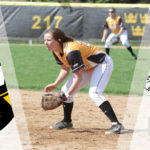 The Gustavus softball team is set to open its conference schedule for home opening weekend at Gustie Softball Field, hosting doubleheaders against Minnesota Intercollegiate Athletic Conference opponents Bethel University and Hamline University. Three Gustavus gymnasts will represent the College this weekend at the National Collegiate Gymnastics Association (NCGA) Championship, hosted by the University of Wisconsin-Stout. Sam Ardy (So., Thousand Oaks, Calif.), Lauren Kershner (Sr., Marine, Ill.), and Alex Kopp (Sr., Wayzata, Minn.) qualified for the national meet, marking the first time in Head Coach Aryn DeGrood’s tenure that three Gusties advanced to the NCGA Championship. 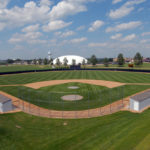 The Gustavus baseball program is holding an Alumni Day on Saturday, April 22 during the doubleheader against St. Olaf. The first game starts at 1:00 p.m. with food and drink available for alumni starting at noon. 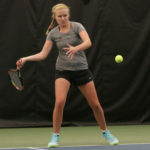 The Gustavus women’s tennis team Wednesday was edged by DePauw University 5-4, hosted by Pomona-Pitzer Colleges. The loss drops the Gusties to 11-3 overall, while the Tigers improve to 7-4. The No. 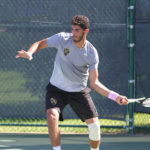 19-ranked Gustavus men’s tennis team got back on track Wednesday, snapping its five-game losing streak with a 6-3 victory over No. 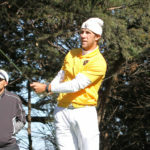 39-ranked Southwestern University, improving its overall record to 18-7. 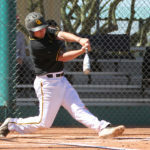 The Gustavus baseball team wrapped up play at the Tucson Invite Wednesday with a pair of close losses. The Gusties lost 13-10 to Middlebury before falling 6-5 to Williams, moving their record to 8-6 overall. 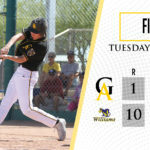 The Gustavus baseball team’s seven-game win streak ended Tuesday at the Tucson Invite as it lost 10-1 to Williams College. The Gusties committed five errors and allowed just four earned runs, while falling to 8-4 overall. The Gustavus men’s golf team carded a team score of 307, repeating round one's 19-over-par score to finish tied for ninth of 15 squads in the final round of the Wynlakes Intercollegiate Invite Tuesday at Wynlakes Golf & Country Club.